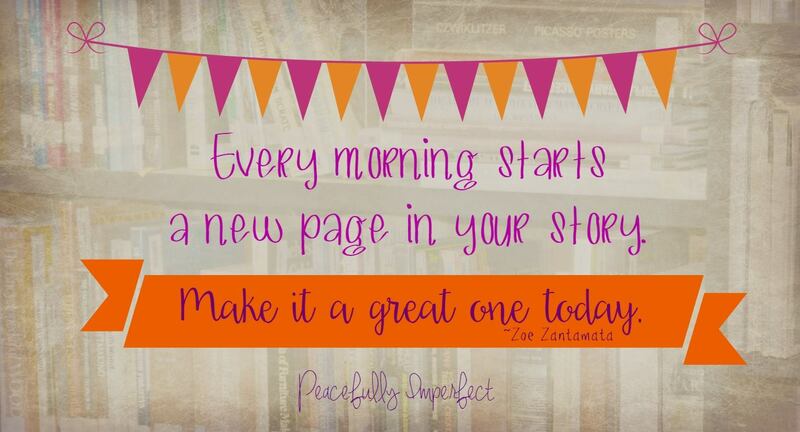 It’s that time of year when I think of all the possibilities a fresh start will bring in the new school year. It’s a time to begin again for students, teachers, leaders, parents and communities. It’s a time for new friendships, new programs, and new experiences to take flight and create infinite possibilities for the future. God, make a fresh start in me, shape a Genesis week from the chaos of my life.Don’t throw me out with the trash, or fail to breathe holiness in me.Bring me back from gray exile, put a fresh wind in my sails! The beauty of a new start is that as long as we walk on this earth we are granted these opportunities over and over again. I read an article a few years ago that said some people have a difficult time making a fresh start because they have trouble leaving the past behind. They have trouble moving past the mistakes or failures they’ve endured, the past attempts at a new goal or dream that hasn’t been realized yet, or the hurtful words shared by a well-meaning friend that actually did more damage than good. Do I struggle with leaving behind an occasional hurt or disappointment? Yes, I do. Because even with my excitement and best attempts to move forward, I too, occasionally drag one of the bittersweet or painful pieces with me into a new beginning. It doesn’t belong there and to be honest it puts a damper on the new experience. Much easier said than done. But we must not allow ourselves to personally hold onto to the things of the past that can damage us in ways we can’t imagine. Holding on to the past hurts and disappointments causes us to be bitter, unforgiving, unrelenting in our pursuit of ‘justice,’ and prevents us from experiencing His unfathomable grace and peace. We must leave our past and all that it entails with Him and move forward with hope, a glad heart, and a vision for a new beginning. Our Heavenly Father wants to us to trust Him, follow Him, read His word, and fill our lives with encouraging and pure thoughts so we can be more like Him. After all, He leads us in the direction we are supposed to go. He so willingly gives us a fresh start over and over again. That’s a good thing–because I love the chance to start over, to do things differently, and to make needed changes He desires. Just a reminder that Kaitlyn Harris, a 19 year old, Baylor sophomore, once again wrote the ‘Enjoy the Journey’ segment this week. She has been such a blessing with her words of encouragement this summer, having contributed several times to this website. « When plans don’t match, do you make a lane change or a u-turn? Thank you for reminding me what a wonderful opportunity the Lord gives us every day to begin anew! You are such an inspiration! Encouraging words – thank God for each new day. Blessings, Mitzi! !